New 630-Meter Band Reported "Very Busy"
An Amateur Radio on the International Space Station (ARISS) school contact with crew member Ricky Arnold, KE5DAU, was a huge success on more than one level. Fifteen students at Pinson Valley High School in Alabama had the opportunity to chat via ham radio on April 10 in a direct contact with Arnold, who was at the helm of NA1SS for his inaugural ARISS contact. Witnessing the event in the packed school auditorium was an audience of 650 invited guests and students, while the remaining 1,150 members of the student body watched from their classrooms. The event was livestreamed to all 57 schools in the district. "The ISS contact was a very valuable experience for the student body and the 15 select students that formulated and asked the questions, and great exposure for Amateur Radio!" said Alabaman and ARRL Southeastern Division Director Greg Sarratt, W4OZK. The event attracted considerable media attention from TV news crews and a print reporter. The radio contact was then followed by a motivational speech from a US Navy Seal team member, after which four Navy Seals and Pinson Valley's vice principal parachuted onto the school's football field, Sarratt recounted. English teacher Jennifer Moore, KF4INA, who served as the spark plug for the ARISS event, praised the support of Huntsville Amateur Radio Club members, who had help from the Birmingham and Blount County Amateur Radio clubs. Three TV stations posted stories on the ARISS event, WVTM, WBRC, and CBS42. A story in the Trussville Tribune included a comment from Pinson City Council member and radio amateur Robbie Roberts, WB4WUI, who attended Pinson Valley High and went on to get an engineering degree. "I think it's great exposure for these kids," he told the reporter. Roberts later told ARRL, "I thought the event was excellent and was a welcome bright spot for our community." He said his grandfather worked for NASA for many years and was significantly involved in work on SkyLab in the 1970s, "so the combination of ham radio and the ISS was of great interest." The ARRL Board of Directors' Executive Committee (EC) will meet on Friday, April 21, in Windsor Locks, Connecticut. 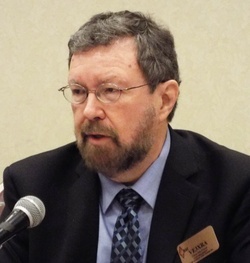 ARRL President Rick Roderick, K5UR, will chair the session. In addition to reports from the President and the Chief Executive Officer and Secretary, Barry Shelley, N1VXY, the EC will hear from General Counsel Chris Imlay, W3KD, who will address FCC and regulatory issues. The EC will also discuss legislative, international, and organizational matters, and it will review pending action items, such as a report from the Amateur Auxiliary Study Ad Hoc Committee. Finally, the EC will recognize new ARRL Life Members. The Executive Committee is tasked by the ARRL Bylaws to address League matters between regular Board meetings. In addition to President Roderick and CEO Shelley, members are ARRL Roanoke Division Director Jim Boehner, N2ZZ; New England Division Director Tom Frenaye, K1KI; Dakota Division Director Matt Holden, K0BBC; Delta Division Director David Norris, K5UZ; Great Lakes Division Director Dale Williams, WA8EFK, and First Vice President Greg Widin, K0GW. FCC Commissioner Mignon Clyburn is leaving the Commission. She announced at the Commission's April 17 meeting that it would be her last as a commissioner. She plans to leave before the Commission's next scheduled meeting on May 10. 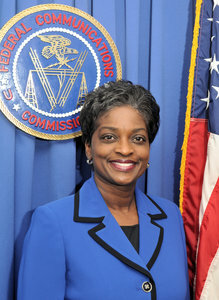 Following her 2013 appointment by President Barack Obama, Clyburn served as acting FCC chair, the first woman to head the agency. A Democrat, she is currently serving a second term. FCC Chairman Ajit Pai congratulated Clyburn on "her distinguished tenure at the FCC," calling her "a tremendous leader and a committed public servant." The other Democrat on the FCC, Jessica Rosenworcel, said, "Commissioner Clyburn is a dynamo. She represents the best of public service. I am proud to call her both a colleague and a friend." The majority of the five-member Commission represents the political party of the president. According to POLITICO, Senate Minority Leader Chuck Schumer has already recommended to the White House Geoffrey Starks, an assistant chief in the FCC Enforcement Bureau, to nominate for Clyburn's seat. "Microphones" is the topic of the current (April 12) episode of the "ARRL The Doctor is In" podcast. Listen...and learn! Just ahead: "Kits and Kit Building." Radio Amateurs in Canada are poised to join those in several other nations around the world who have access to a new 60-meter band, 5351.5 - 5366.5 kHz, as agreed upon at World Radiocommunication Conference 2015 (WRC-15), but with a maximum power of 100 W effective radiated power (ERP). The updated Canadian Table of Frequency Allocations includes the new allocation, although radio amateurs have not yet been authorized to use it. Canada's radio amateurs will also retain the four Amateur Radio channels that do not fall within the new allocation. These spot frequencies have been authorized under a footnote to the Table since 2014, on a secondary, non-interference basis. 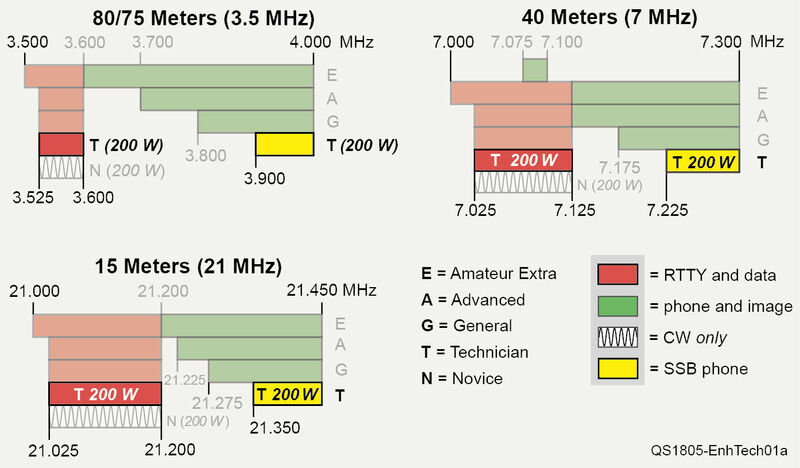 In January 2017, ARRL asked the FCC to allocate a new, secondary contiguous band at 5 MHz to the Amateur Service, while also retaining four of the current five 60-meter channels and current operating rules, including the 100 W PEP ERP limit. The federal government is the primary user of the 5 MHz spectrum in the US. The FCC has yet to act on ARRL's petition. Last August, Canada's regulatory agency, the Department of Innovation, Science, and Economic Development Canada (ISED) proposed to adopt WRC-15 decisions that included the 15 kHz Amateur Radio allocation. The proposed revisions to the Table would retain the original five 5 MHz spot frequencies with a maximum of 100 W ERP, but restrict the new 15 kHz allocation to just 15 W EIRP, accommodating the concerns of a few countries over possible interference to their domestic communications. Radio Amateurs of Canada President Glenn MacDonell, VE3XRA. "Radio Amateurs of Canada (RAC) noted in its response to the proposed changes that there had been no reports of interference from Amateur Radio operations on the existing five 60-meter spot frequencies following their use in Canada since 2014 and in the USA for even longer," RAC President Glenn MacDonell, VE3XRA, said. "Further, the rationale for allocating the spot frequencies had been based on the value of 60 meters for emergency communication, and the low power limit adopted at WRC-15 would seriously limit this use." MacDonell said comments from the Radio Advisory Board of Canada (of which RAC is a member organization), the Ottawa Valley Mobile Radio Club, the Marconi Radio Club of Newfoundland, and several individual radio amateurs also recommended 100 W.
"Radio Amateurs of Canada will be urging ISED to authorize the new 15 kHz segment as soon as possible," MacDonell said. Thousands of slow-scan television (SSTV) enthusiasts around the globe enthusiastically tracked the International Space Station (ISS) to download commemorative SSTV images transmitted as part of the ARISS-Russia Cosmonautics Day (International Day of Human Space Flight) celebration April 11 - 15. 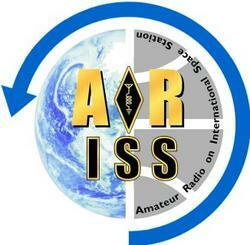 Another ARISS-Russia SSTV event is planned for May. 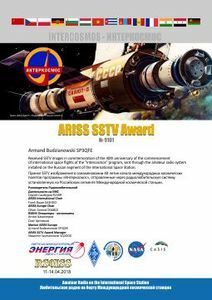 Stations who received SSTV images from the Cosmonautics Day event can apply for this certificate. As of mid-week, upward of 9,000 images relating to the 40th anniversary of the Interkosmos Project period of the Soviet space program had been posted for viewing. The SSTV images, stored on a computer in the ISS Russian segment, were transmitted by RS0ISS on 145.800 MHz with PD-120 SSTV protocol, using a Kenwood TM-D710E transceiver. Certificates are being distributed via e-mail to those who posted reception reports and images. The e-mailed certificate commemorates the 20th anniversary (in 2016) of the Amateur Radio on the International Space Station (ARISS) program. To be eligible for the ARISS SSTV Award, participants should have received and decoded at least one picture during the activity period. Image quality needs to be good enough to identify the picture. Partial images are acceptable. To qualify, upload your decoded images and complete the application by May 15. Details and a list of ARISS SSTV award-winning stations are available on the application page. Amateur Radio got two new bands last year, and amateurs are beginning to use them. Ralph Wallio, W0RPK, of Greenville, North Carolina, and others who took part in ARRL's WD2XSH Part 5 Experimental operation or have a deep interest in what now is the 630-meter band (472 - 479 kHz), say activity is picking up. 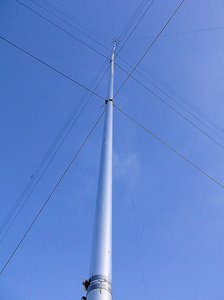 The 630-meter antenna at NO3M. Wallio maintains an informal database that tracks the activity of stations on a state-by-state basis, as well as how many states each station has worked. Topping the list is Eric Tichansky, NO3M, in Pennsylvania, with 36 states worked on 630 meters, and 35 confirmed, including Hawaii and Alaska. NO3M, who also operates as W3CDX, reports eight DXCC entities worked on the new band. "During the past 6 months, our list of stations in the US participating in QSOs on 630 meters has steadily increased to 108 stations across 39 states," Wallio told ARRL. "As of mid-April 2018, we have 6 months of operating experience over the past winter. Our 630-meter band has been very busy." Wallio said modes frequently used for 630-meter contacts include CW, JT9, WSQ (weak-signal QSO), and FT8, with occasional additional digital mode experiments and SSB. Numerous US stations are also participating in WSPR beacon transmission, reception, and reporting on 472 kHz. "An analysis of the past 30 days finds 59 stations occasionally transmitting 630-meter WSPR beacons in the US," Wallio added. 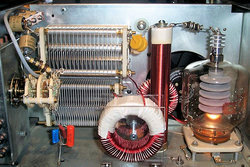 In his days operating under a Part 5 Experimental license, Eric Tichansky, NO3M, ran a modified a Heathkit SB-1000 linear for 630 meters, so he could generate sufficient power to obtain the 100 W ERP permitted under that grant. His current solid-state amp is much more modest. Transatlantic and transpacific contacts on the new band also have been reported. John Langridge, KB5NJD, posts a daily discussion of 630-meter operations and conditions. He advises stations operating on 630 meters to upload their logs to Logbook of The World, so 630-meter operators participating in the 2018 ARRL International Grid Chase (IGC) can receive credit. Another WD2XSH participant, Rudy Severns, N6LF, discusses LF-MF antenna design on his website, with notes. An archive of 600MRG discussions also is available. "Girls Can Do ICT!" is the theme of International Girls in Information and Telecommunication Technologies (ICT) Day on April 26. An initiative of the International Telecommunication Union (ITU), International Girls in ICT Day aims to "create a global environment that empowers and encourages girls and young women to consider careers in the growing ICT field," the ITU said. "Girls in ICT Day will provide a much-needed boost to female participation in the ICT sector," said ITU Secretary-General Dr. Hamadoun I. Touré. "With many countries now forecasting a shortage of skilled ICT professionals within the next 10 years, it is vital that we attract young women into technology if we are to sustain healthy growth rates for the industry overall." Girls in ICT Day encourages girls to let personal interests and talent, not stereotypes, define their career paths. "It promotes an interest in technology, computer science, new communication media, and engineering," ITU said. Brian Justin, WA1ZMS, in Virginia, saved the lowest band for last. On April 11, he completed a CW contact on the new 2200-meter band with K3MF in Pennsylvania, wrapping up a sweep of completed contacts on all 29 Amateur Radio bands. Justin is a bit of an old school guy -- he worked K3MF on CW, and now he's awaiting a QSL card. A paper QSL card. "Wow!" Justin told ARRL. "Not an easy QSO. Had to use TMO reporting, but we did it as if it was an Earth-Moon-Earth QSO." In TMO reporting, T = Signal just detectable; M = Portions of call copied, and O = Complete call set has been received. Justin used his Icom IC-7300 for his receiver. "I needed the AGC on to keep the static crashes from blowing my ears off," he recounted. His antenna for both receiving and transmitting was a 160-meter dipole fed as a Marconi T antenna against ground. 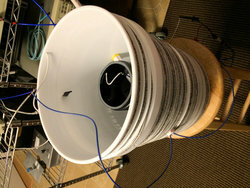 "A 2.5 mH variometer built on a 5-gallon bucket is used to tune the antenna to resonance," he explained. "Ground impedance at 136 kHz is around 40 ohms, so most of the RF is lost as heat in the Earth." Justin said it took several hundred dollars' worth of ground rods and copper wire to attain the 40-ohm ground impedance, given soil conditions at his location. "I started with 100 W," Justin said. "K3MF had trouble hearing me -- his QRM was 20 dB over S-9. So we set up a new sked. I added the kW amp on my end, and as soon as I hit 600 W, all of the smoke detectors in the house went off from the RF." He said he had to stay at 500 W for the contact. Reception was a challenge as well. "All light dimmers need to be off, so I can hear anything," he said. Input to the antenna system is one thing on 136 kHz. Effective radiated power (ERP) is another. Justin's ERP was 500 mW, just 3 dB below the FCC limit for the band. Justin said he started working his way through the bands at the high end of the spectrum, those allocations above 24 GHz. "By the time 2002 came around, I had managed to have built enough millimeter-wave gear to complete formal QSOs, with QSL cards, on all the bands at the time," he told ARRL. "On the bands above 24 GHz, I had to build two stations and pass one off to K2AD, W4WWQ, or WA4RTS to be on the other ends of these VUCCs and QSOs." To consider it a valid contact, Justin said he used the New England Weak Signal Group (NEWS) guideline of at least a 1-kilometer distance on each band. "While at first this seems very easy, very few hams have even had a QSO across a bench top on bands like 134 GHz, much less over 1 kilometer," he said. By 2003, Justin had confirmed contacts (and paper QSLs) on each band from 1.8 MHz to 300 GHz. He submitted his cards to NEWS, which presented him with a framed award and plaque -- the very first "Worked All Bands Award." Since then, a few ham bands have changed. For example, the 2.5-millimeter band shifted from 120 GHz to 122 GHz, and the 2-millimeter band moved down from 145 GHz to 134 GHz. "In order to stay current with the award, I built gear for those new allocations as well and made QSOs, VUCCs, and more DX," he said. Throughout this process, he earned the first-ever ARRL VUCC Awards for 47 GHz, 76 GHz, 122 GHz, 134 GHz, and 241 GHz, and even went so far as to make the first contact on a less-than-1-millimeter band, 322 GHz. "Many world DX records were made as well along the way," he said. "The most rewarding one for me was 114 kilometers on 241 GHz." When 630 and 2200 meters became official last year, Justin had his work cut out for him. As one of the ARRL WD2XSH Experimental stations, he made quick work of 630 meters, contacting NO3M on SSB the day after the band opened for Amateur Radio work. 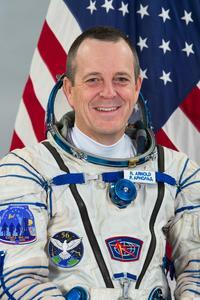 His CW QSO on 2200 meters came last week -- about 250 kilometers (155 miles). He's hoping to see the QSL card this week. According to an April 10 IEEE SPECTRUM report, "The FCC's Big Problem with Small Satellites," confusion and erratic enforcement at the FCC is sending satellite makers abroad. Earlier this year, the FCC rescinded permission for Swarm Technologies to launch another round of SpaceBEEs later this month and questioned Swarm's suitability to be an FCC licensee. That came in the wake of Swarm's January launch from India, of tiny 0.25 U CubeSats, after the FCC had told the California company that it was unable to grant its application for an Experimental authorization in association with the deployment and operation of "four spacecraft smaller than 10 centimeters in one of their three dimensions." The FCC said SpaceBEEs were below the size threshold "at which detection by the Space Surveillance Network (SSN) can be considered routine." 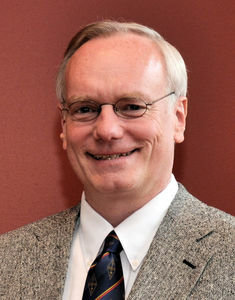 The IEEE SPECTRUM article by Mark Harris suggested that the FCC's stance could doom Swarm's plans for a constellation of Internet of Things (IoT) communication satellites and "revealed that the FCC-licensed multiple satellites smaller than 10 centimeters over the past 5 years, including some as small as 3.5 × 3.5 × 0.2 centimeters. But the Commission has also changed its mind from one application to the next, refusing launch permission for satellites that were virtually identical to ones previously authorized. This uncertainty has led to at least one satellite maker exporting his technology rather than risk being denied a license in the US." Read more. The frequency chart accompanying the article "A Value-Added Technician License" in the May 2018 issue of QST (p. 74) contained incorrect information. The chart has been corrected to reflect that the proposed 40-meter SSB segment is 7.225 - 7.300 MHz, and the proposed 15-meter SSB segment is 21.350 - 21.450 MHz. The text of the article otherwise accurately presents the details of ARRL's petition to the FCC seeking enhanced privileges for Technician licensees. We regret the error. K6KPH, the amateur station of the Maritime Radio Historical Society (MRHS), will be active on International Marconi Day (IMD), April 21 (UTC). Organized by the Cornish Amateur Radio Club, IMD takes place each year on the weekend closest to Marconi's birthday, April 25. K6KPH will operate on CW on 80, 40, 20, 17, and 15 meters. Because K6KPH transmits from the original Marconi site that went into service in 1914, it is a registered IMD station. K6KPH uses the original transmitters, receivers, and antennas of heritage shore station KPH. Operators at the receive station in Point Reyes, California, key the transmitters in Bolinas remotely, as was done when KPH was in service. The Cornish Amateur Radio Club will issue an award to stations that contact 15 officially registered IMD stations like K6KPH. KPH also will be on the air as well. For more information, contact MRHS. Former Connecticut Section Manager Betsey Doane, K1EIC, will receive the Housatonic Community College Foundation (HCCF) Lifetime Achievement Award. The presentation will take place on April 19, during the college's 50th anniversary community celebration. A retired professor, Doane has been on the cutting edge of major industry advancements in teaching techniques for the visually impaired. She has worked toward developing computer literacy courses and has participated as a panelist at national and international conferences. 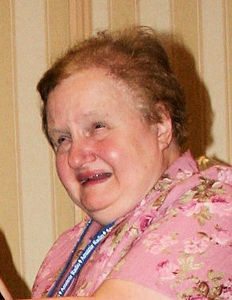 Doane served as Connecticut Section Manager from 1991 until 2016, her 25 uninterrupted years of service establishing her as the dean of Section Managers when she decided not to seek another term. Doane and her twin sister, Barb Lombardi, K1EIR, were licensed in 1958, and both began handling message traffic soon after. 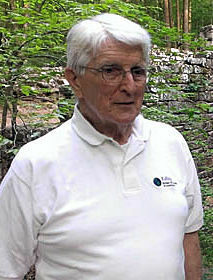 "The Wireman" Pressley W. "Press" Jones, N8UG, of Landrum, South Carolina, died on April 10. He was 89. The "original" Wireman and his crew have been staples of many hamfests and conventions across the US for more than 45 years, supplying attendees with coaxial cable, wire, insulators, balanced feed line, and more. "He was a great teacher and speaker with his one-of-a kind approach to communications, and a down-to-earth mentor," said a statement on The Wireman website. An ARRL member, he was a technical advisor from 1994 through 2014. Tad Cook, K7RA, Seattle, reports: Average daily sunspot number over the April 12-18 reporting week rose from 0 to 5.4. Any non-zero sunspot number lower than 11 is illusory, however, because of the arcane sunspot calculation method, but this was an average over the past 7 days, and it is lower than 11 because 4 of the past 7 days had no sunspots. Every sunspot group counts for 10 points, and each sunspot within that group counts as one point. So, one sunspot in one group yields a sunspot number of 11. Three sunspots in two groups yield a daily sunspot number of 23. The last time we saw a sunspot number greater than 22 was February 9-12, when it was 23, 35, 24, and 26. 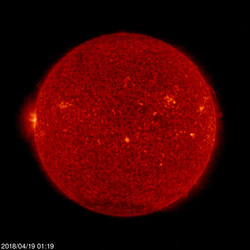 Predicted solar flux for the next 45 days is 75 on April 19-22; 70 on April 23-26; 69 on April 27-May 5; 70 on May 6-12; 72 on May 13-19; 69 on May 20-June 1, and 70 on June 2. Predicted planetary A index is 12 and 10 on April 19-20; 5 on April 21-May 5; 10 on May 6; 15 on May 7-8; 10 on May 9-10; 5 on May 11-15; 12 and 10 on May 16-17; 5 on May 18-June 1, and 10 on June 2. Sunspot numbers for April 12-18 were 13, 14, 11, 0, 0, 0, and 0, with a mean of 5.4. The 10.7-centimeter flux was 70, 69.7, 69.5, 70.6, 69.2, 69.3, and 70.8, with a mean of 69.9. Estimated planetary A indices were 9, 9, 6, 6, 3, 4, and 6, with a mean of 6.1. Estimated mid-latitude A indices were 8, 8, 6, 5, 3, 3, and 6, with a mean of 5.6.